Great news for Jurassic Park fans! 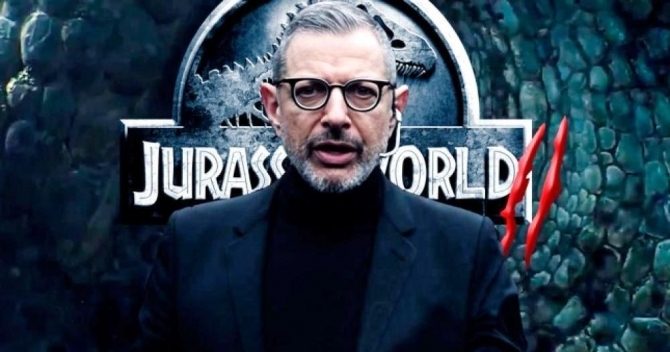 Jeff Goldblum is set to reprise his role as our favourite chaotician, Dr. Ian Malcolm, in Frontier Developments’ upcoming strategy sim Jurassic World: Evolution. For those who don’t know, the game is a construction and management sim where you oversee the day-to-day runnings of your very own dinosaur-centric amusement park. Essentially, it’s a lot like Bullfrog’s old-school classic Theme Park (remember it? ), but with a whole lot more prehistoric beasties running around, waiting patiently for any opportunity to wreak havoc on your best laid plans. As the park’s manager, your task is to design a plethora of eye-catching attractions, build and maintain the site’s facilities and bioengineer brand new dinosaurs, all while making sure that your loveable critters don’t, well, eat any of your paying customers or diligent staff. Yikes. I’m going to be with you the whole game, as Dr. Ian Malcolm – that’s the character that I play in those Jurassic Park movies. I highly recommend it. It gets 10 Goldblums out of a possible 10 Goldblums – that’s my highest rating. Goldblum will also be reprising as Dr. Ian Malcolm in the upcoming Jurassic World sequel, Jurassic World: Fallen Kingdom which arrives in cinemas on June 22nd. Jurassic World: Evolution, meanwhile, is scheduled for release on PC, Xbox One and PlayStation 4 in Summer 2018.